Hide deals from seller "FireLogic"
Limit 1 per person. Valid on 1 hour of diagnosis, repair and virus removal for a Mac or PC. Valid in-store only. By appointment only; must mention voucher when scheduling. New customers only. Promotional value expires 30 days after purchase. Today’s students know the importance of having access to a fully functional computer, and how quickly a technological hiccup can lead to a homework meltdown. 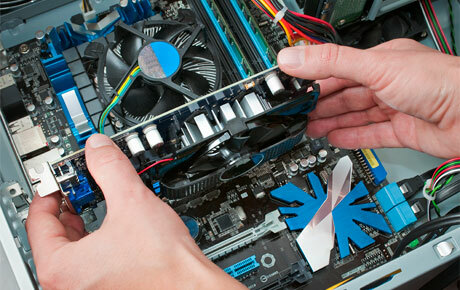 Maintain your access to the information superhighway with 50% off computer diagnosis, repair and virus removal at FireLogic in Park Ridge ($60 value). The techie wizards at this shop provide top-notch service that will keep your computer connected. In business for two years, FireLogic is the northwest suburb’s premier computer repair, technology consulting and training company. As a member of the Association of Computer Repair Business Owners, they maintain the highest standards of ethics, quality and customer service, while delivering results at an honest price. Your services will ensure that your computer is in working order, and that your kids avoid the old “my dog ate my homework” excuse. Computer repair shop in Park Ridge offering a variety of services for Macs, PCs, consoles and more.